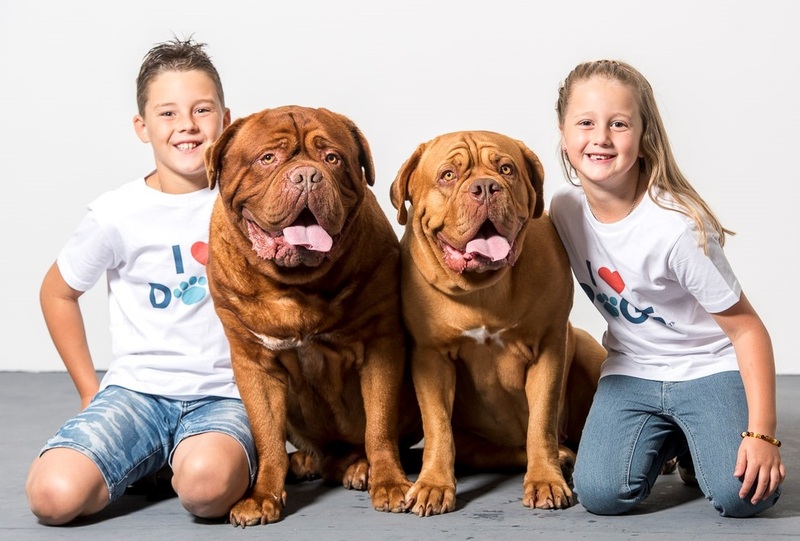 Our dogs have had the privilege of being featured in the Dogue de Bordeaux Rescue Calendar for 2017. What an awesome cover photo - courtesy of CrimsonCharm Kennels in QLD. Love those wrinkles! 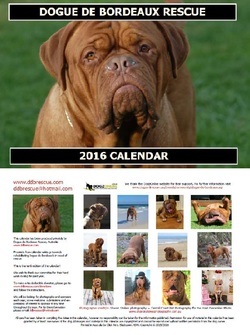 Bella and Diesel have been included on a few different pages for 2017. Can you spot them? 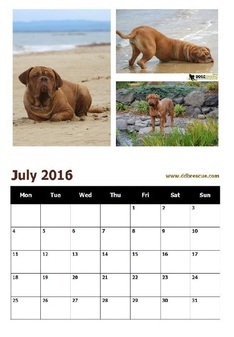 Please order a copy of your calendar to avoid missing out. It is a limited print run. 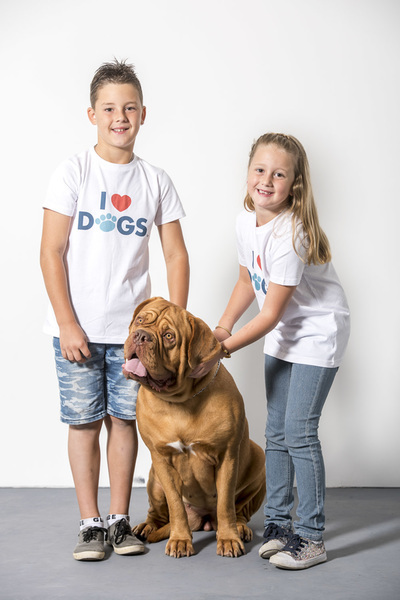 All profits go to Dogue de Bordeaux Rescue Australia. We entered Diesel and Bella into a competition for the Melbourne Dog Lovers Show advertising campaign at the start of 2015. 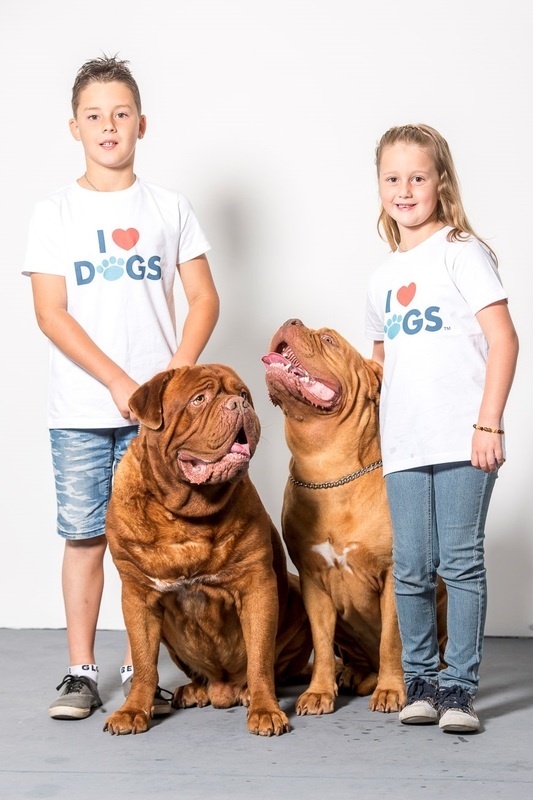 They were shortlisted from hundreds of entries for the photo shoot in South Melbourne. The photo shoot involved silly noises and treats for the dogs, to get their attention. Little did the photographers know that TREATS + DOGUES = DROOL. Well, there was a lot of drool, wiping of drool, and then even more drool. 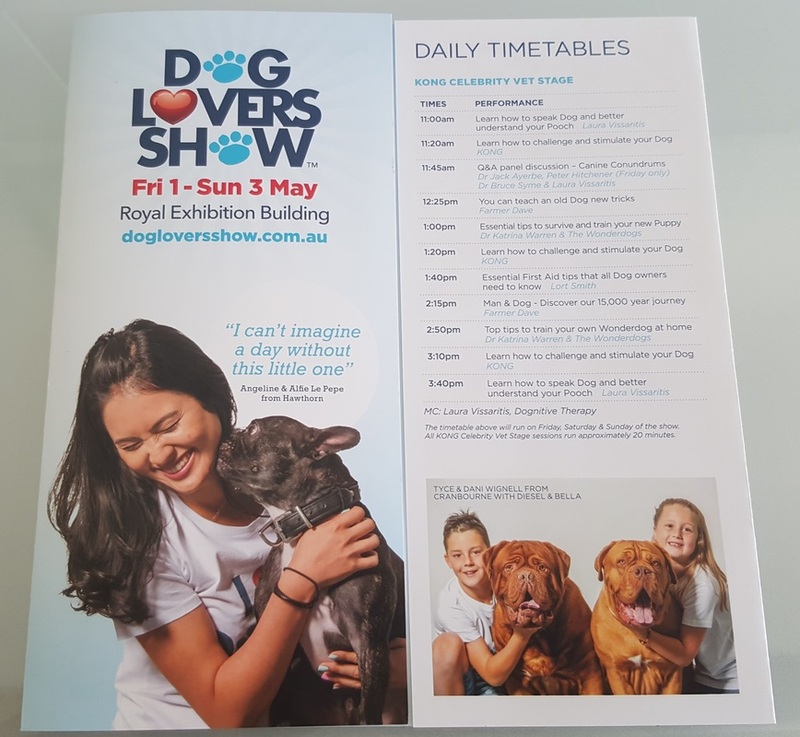 In the end, out of the shortlisted group, our photo was used on the 40,000 brochures that were dispersed across the state and also in the show guide. Some of you may have seen it if you went to the show this year on 1st - 3rd May, 2015 at the Royal Exhibition Building. Well done to Tyce and Dani for being so patient with these 60+ kilo dogs (clearly being heavier and stronger then them), and for putting on their best smiles. I am also so proud of our dogs. They did so well with all the gadgets and bright lights. Bella was a little nervous at the start (as you can see in the pictures), but she quickly relaxed. 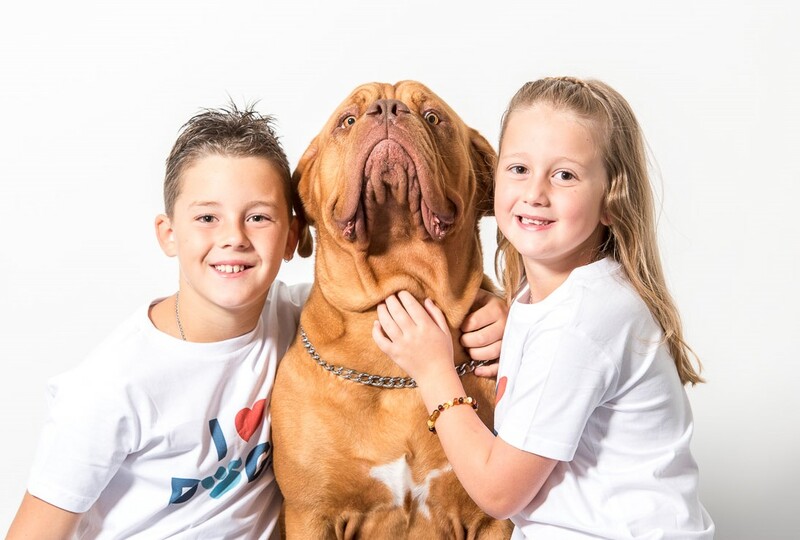 Diesel took it in like a pro - this was not his first photo shoot. 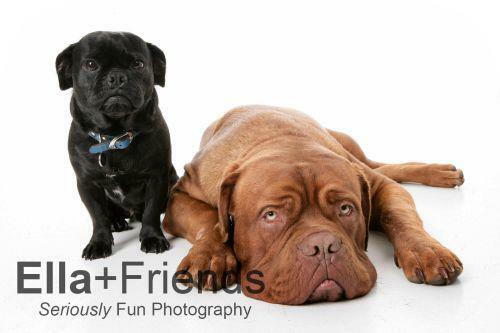 Diesel and Pugsley participated in a photo shoot in December 2011 for the 'Woof! 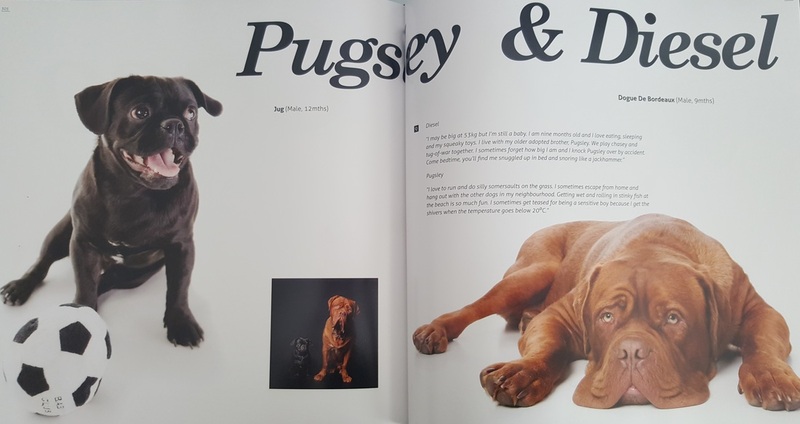 4 - Dogs Galore' coffee table book (by Ella + Friends - Seriously Fun Photography). 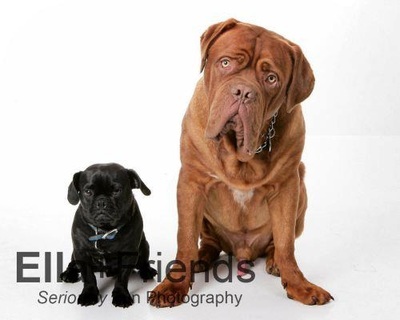 Diesel was 9 months old and Pugsley was 12 months old at the time of the photo shoot. 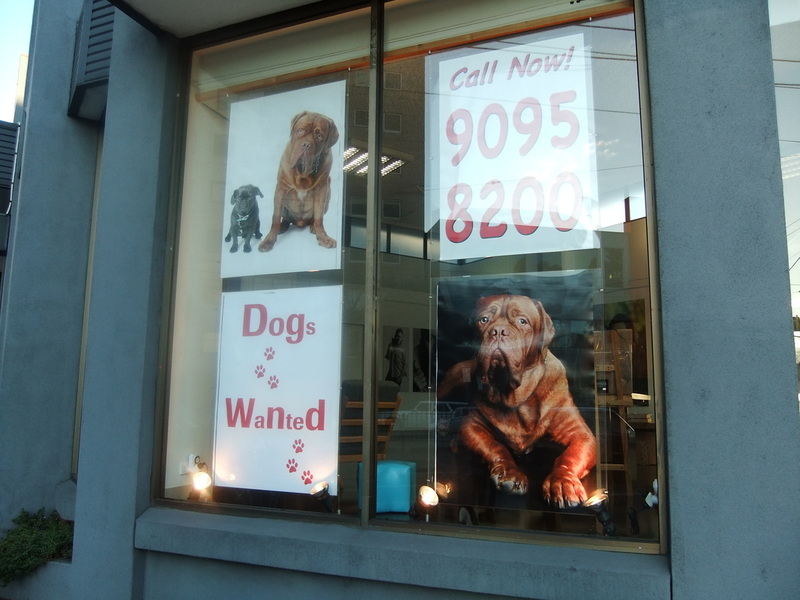 About 6 months after the photo shoot, I was driving past the Ella + Friends studio in South Melbourne and see our dogs featured in the window, advertising for the next Woof! book. I had to stop and take a photo. I still see their posters pop up in their window from time to time.